BY DAVID M. STACKROW SR. 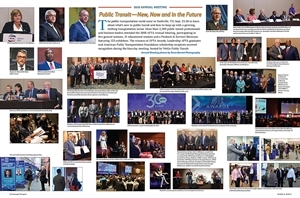 The public transportation world came to Nashville, TN, Sept. 23-26 to learn about what’s new in public transit and how to keep up with a growing, shifting transportation sector. Click the link below. Make Plans to Attend APTA's Industry Leadership Week!